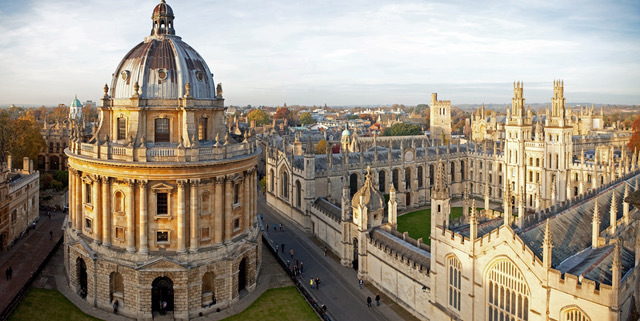 The British cities of Oxford and Cambridge are famous for their universities, both ranking among the best in the world. Students from all over the United Kingdom and all over the world dream to study there, or at least to visit these places some day. 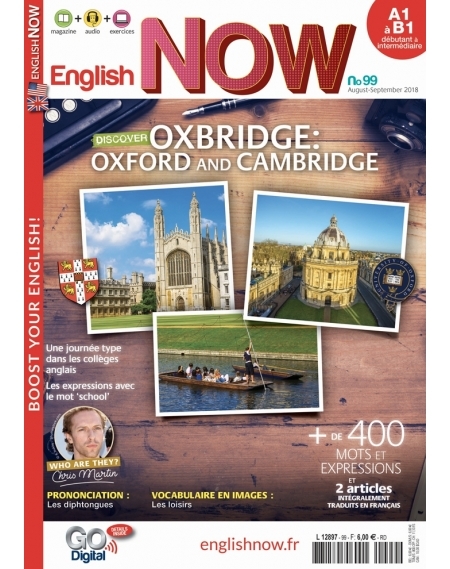 English Now no99 focuses on both universities, their rivalry and their prestige, but for now on let’s study the name Oxbridge in detail. So the word Oxbridge is a portmanteau of the names Oxford and Cambridge, used to designate the two oldest and most prestigious universities in the UK and their students, distinguishing them from all of the other British universities. 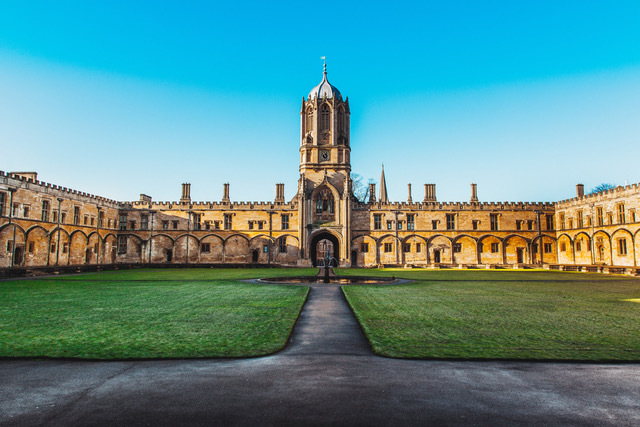 Oxbridge refers to the shared characteristics of the two universities: they are the two oldest universities in the UK, and they have the same institutions and facilities on their campuses. 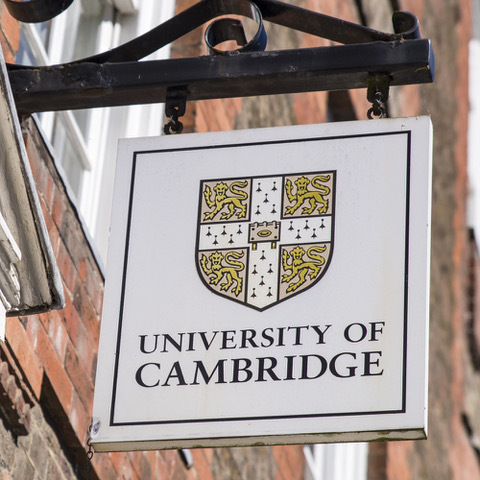 Oxford and Cambridge have an identical collegiate structure, they both have publishing houses (the Oxford University Press and the Cambridge University Press), as well as museums, botanical gardens, debating societies, and even renowned comedy groups (Footlights and The Oxford Revue). Oxford and Cambridge are widely regarded as elite places, welcoming students of high social and intellectual status. This vision of Oxbridge led to a pejorative use of the term: you can talk about Oxbridge to criticise the fact that the British political and cultural establishment comes from both places. 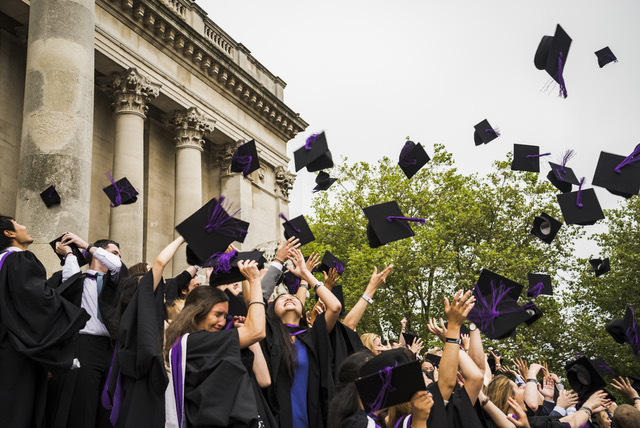 The perception of Oxbridge as an elitist place has been reinforced in the past months when the British newspaper the Guardian revealed the extent of the two universities’ wealth. A study conducted by the newspaper showed that Oxbridge owns £21 billion in assets: this includes lands, estates, investments, endowments, etc. Oxford University and Cambridge University both own billions of pounds, but each college in each city also has its share of the fortune. To put things into perspective, it is interesting to note that these £21 billions are superior to the combined wealth of the other 22 biggest universities in the UK. With this sum, Oxbridge could pay the tuition fees of every single student in the UK (British students but also international ones) for a year, and there would still be £3 billions left. It also appears that Oxbridge is the biggest landowner in the United Kingdom: together the two universities own 51,000 hectares of land throughout the UK, which is far more than the Church of England’s possessions. Among the properties owned by Oxbridge, you can find almost any type of place: farmlands, woodlands, castles, retail outlets and industrial zones, houses, but also the O2 Arena in London, the Top Gear test track, or the Rose Bowl, which is the home of the Hampshire County Cricket Club. When asked about this substantial wealth, the universities responded that they could not use their money haphazardly, because their funds are regulated and allocated to specific causes; which explains why all of this money is not used to create outreach programmes for underrepresented students, as many people wish.